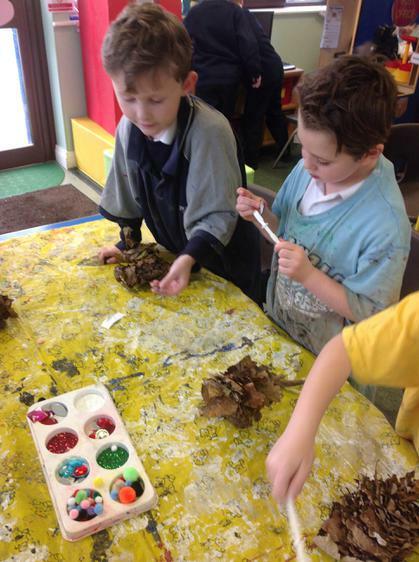 This week at forest school we created mud pictures. We then collected lots of different sizes of leaves. We found a small stick and threaded the leaves on to the stick in order from largest to smallest. They eventually looked like Christmas trees. We brought the leafy Christmas trees back to school to dry out. 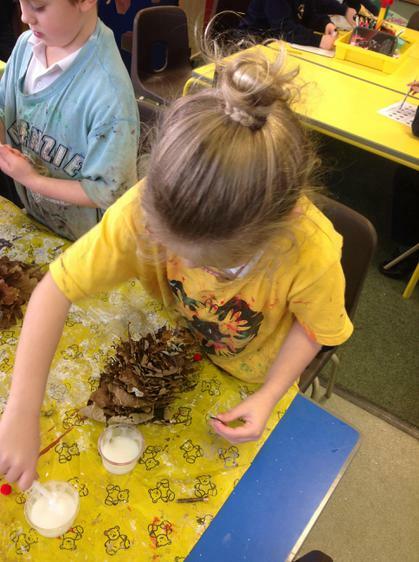 When they were dry we decorated them with glitter, pom poms and stars. I'm sure you will agree they look wonderful.